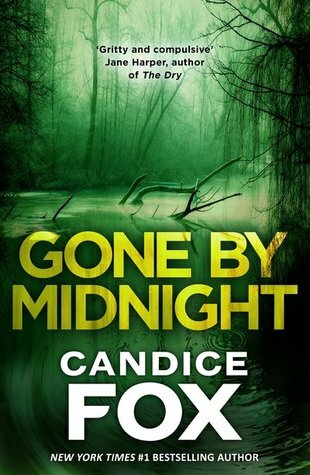 From the award-winning author of Hades and Eden comes an ingenious and edgy suspense novel that will keep you guessing to the very last page . . . The queen of quirky is back! 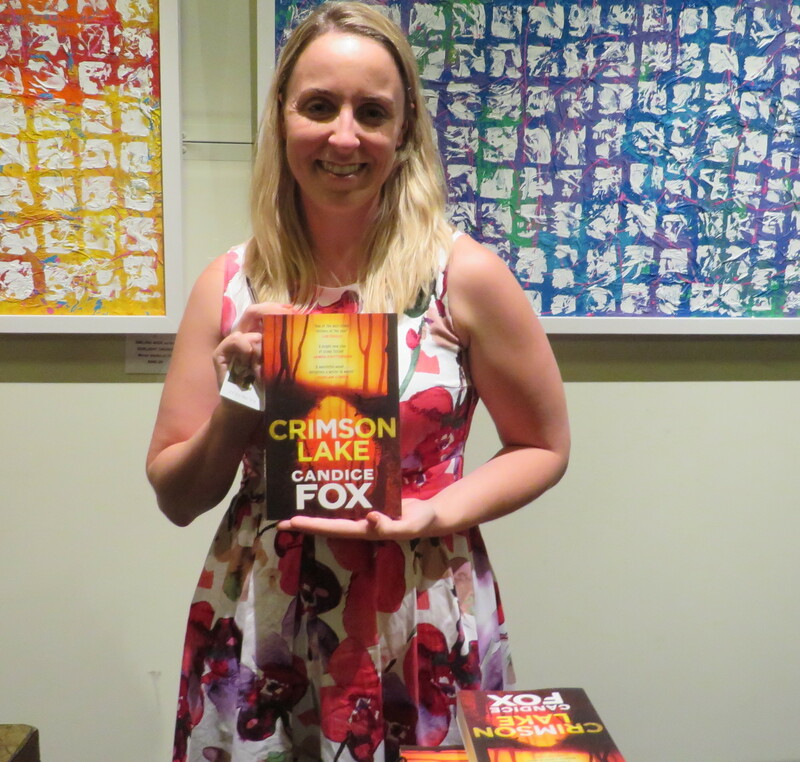 Last week I had the privilege of meeting Candice Fox as part of her extended Western Australian book tour. 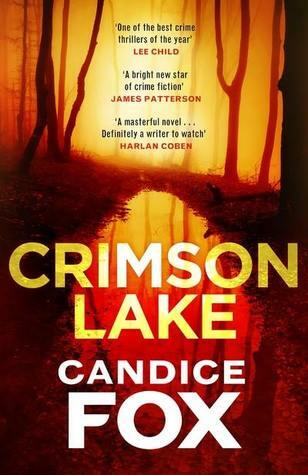 What a great night it was – Candice was open, honest and often hilarious, talking about everything that mattered to her – her childhood, family, marriage, divorce, second marriage, her childhood ambition to become a writer, her writing inspirations, the inspiration she draws from reading true crime novels (which was very evident to me as I read Crimson Lake) and her very successful writing collaboration with James Patterson. What a night! What a life! This would make a great movie, why? Quirky, colourful, empathetic characters to start. 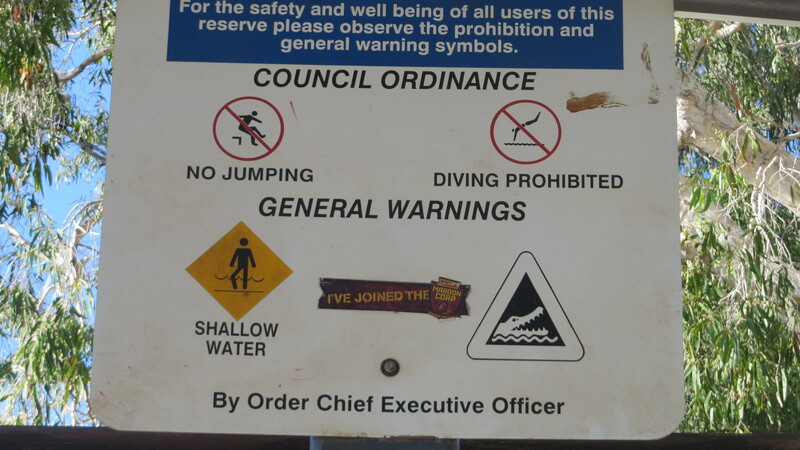 Small town, semi-rural Queensland locations – with small town minds, dramas and… crocodiles – always good elements to ratchet up the creepiness and fear levels. And themes – child abuse, missing persons, and famous authors, the questionable good cop or bad cop, did he do it? Did she do it? And the big question, why? The list goes on. This book has a lot to offer (though I did think the start was just a little slow for my taste) but persevere and you will find an amazing read. Read it now before you see the film. Bob Irwin grew up in the Dandenong Ranges in Victoria, Australia, where his passion for wildlife and its environment was born. A near-death experience while working as a plumber made Bob realise he needed to follow his dreams, so he and his wife Lyn uprooted their young family and moved to Queensland where they opened a Reptile and Fauna Park on the Sunshine Coast. Bob’s passion for reptiles grew with his ever expanding collection and he soon became involved with various venom labs, for which he would catch the snakes that were later milked for the production of life-saving anti-venom. Growing up within the Beerwah Reptile & Wildlife Park, and with Lyn caring for orphaned wildlife at home, passion for the environment and all animals was a way of life for the Irwin children. This unique upbringing had a profound impact on his son Steve, who followed in his father’s footsteps and along the way became famous around the world as educator and wildlife warrior, the Crocodile Hunter. Bob nearly didn’t survive the sudden death of his adored wife Lyn, and could have gone under again when a routine filming session for Steve’s TV show ended in his tragic death in 2006 at the age of 44. In each instance was the natural world and the animals within it which helped Bob to keep going, and since then he has continued to fight for his beloved Steve’s legacy of protecting the wildlife, environment and planet on which our own survival depends. 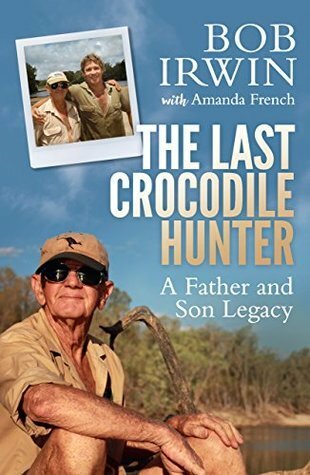 Entertaining, moving, impassioned and inspiring, The Last Crocodile Hunter goes to the heart and soul of a great Australian character, father and fighter, and raises issues that are crucial to us all. The Dandenong Ranges in Victoria was where Bob Irwin grew up, and his love of the Australian wildlife and surrounding bush was in him from a very young age. As the years passed, Bob became a plumber and worked with his father. But eventually Bob knew he was no longer happy in his job, so after much discussion with his wife Lyn, in late 1972 they headed for Queensland with the children. The Beerwah Reptile and Fauna Park began on just three and a half acres of land; the hard work was done by the family as they slowly built it to where it could be opened to the public. The family survived on the bare minimum as neither Lyn nor Bob had an income, but they had a passionate vision of the future. Bob and Lyn’s three children, Joy, Steve and Mandy, all shared their parents’ love of wildlife and conservation, but Steve was a sponge, soaking up everything his father taught him and always wanting more. Bob took Steve on his camping trips when they were contracted to remove crocodiles from particular creeks and rivers – Steve loved it. The two of them had a unique relationship; not just father and son, they were best mates as well. The Last Crocodile Hunter is the most comprehensive, interesting and heart wrenching memoir I have ever read. Emotional, profound and deeply moving, Bob Irwin’s words and memories have come to life with the help of Amanda French, who travelled with Bob throughout the outback, visiting old sites he had been to with Steve, chatting and imparting it all around the campfire. A quiet man, never one for the spotlight, son Steve was the complete opposite – they complemented each other well. Now seventy seven years of age, Bob Irwin continues his fight to preserve the legacy left by Steve for the well-being of our planet, the environment but mostly for the animals on it. The Last Crocodile Hunter is a memoir I highly recommend, and one I feel anyone who has ever heard of Steve Irwin should read. I very much enjoyed this 5 star read. 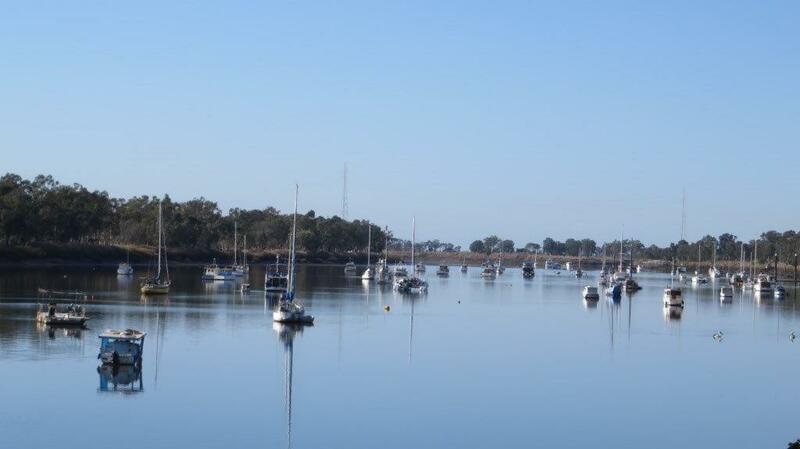 A Walk By The Fitzroy River in Rockhampton Queensland. 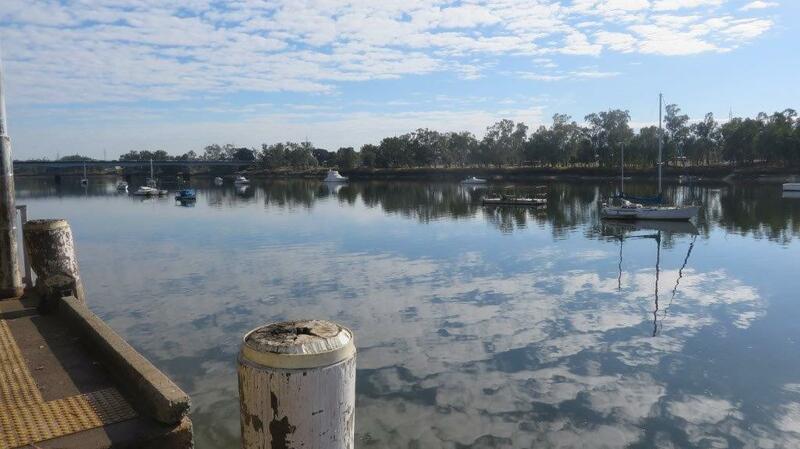 A beautiful day for an early morning walk along the river in the heart of Rockhampton. 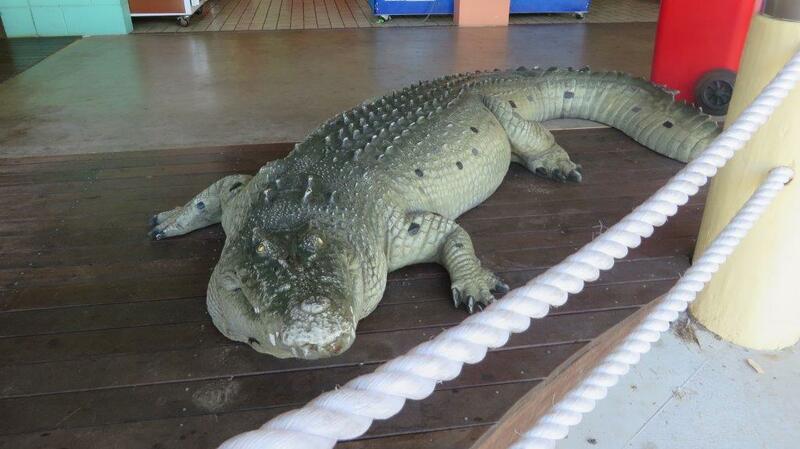 This Is The Closest I Will Ever Get To A Crocodile. I did a double take the first time I noticed this at the club bar at the caravan park. 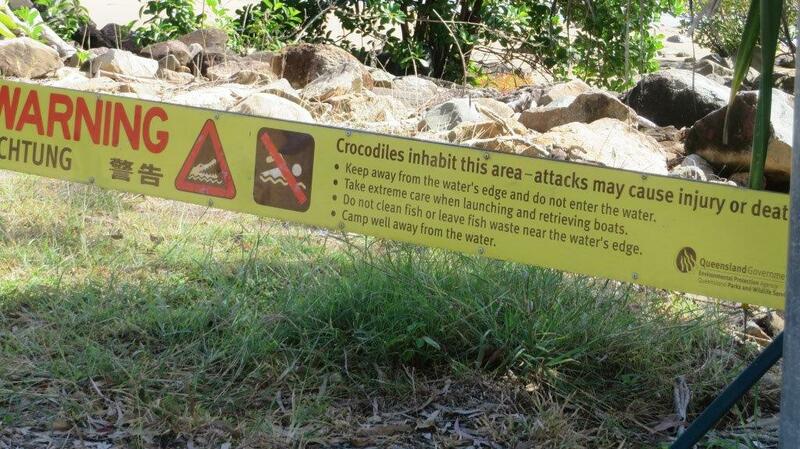 We read the sign and decided to forgo a walk along the shore. When her chronically unemployed husband runs off to start a crocodile farm in Kenya with his mistress, Josephine Cortes is left in an unhappy state of affairs. The mother of two–confident, beautiful teenage Hortense and shy, babyish Zoe–is forced to maintain a stable family life while making ends meet on her meager salary as a medieval history scholar. Meanwhile, Josephine’s charismatic sister Iris seems to have it all–a wealthy husband, gorgeous looks, and a tres chic Paris address–but she dreams of bringing meaning back into her life. When Iris charms a famous publisher into offering her a lucrative deal for a twelfth-century romance, she offers her sister a deal of her own: Josephine will write the novel and pocket all the proceeds, but the book will be published under Iris’s name. All is well–that is, until the book becomes the literary sensation of the season. If you are an admirer of Chick Lit then you will find this book a satisfying read. The author has the formula just right: a sullen teenager, a cute younger child, a cheating husband who runs off to exotic lands, a talented wife who is a doormat but undergoes a serious metamorphosis as the story progresses, mystery and affairs and a French backdrop. And it has the requisite somewhat happy ending that alludes to another installment to continue where this story leaves off. Enjoy this read at the beach, on the bus or train. It is perfect to pick up and read a few chapters and then leave till the next time you have a moment to spare. It is a good example of the genre; a light and entertaining read.